I am the author of four books in Wiley's For Dummies series. This is a friendly, no-nonsense and comprehensive guide on how to crack these hardest of crosswords. It includes chapters on each of the main cryptic devices, practice crosswords with lots of hints and explanations, long reference lists, and a bit about the history of cryptic crosswords. Page 64: The clue for 1 Across should read Condemned contrarily, to fulfil promise (7). This also affects the clue explanation on page 66. Page 99: The answer to Maiden, wearing Italian flower, beams (5) has 6 letters, not 5. 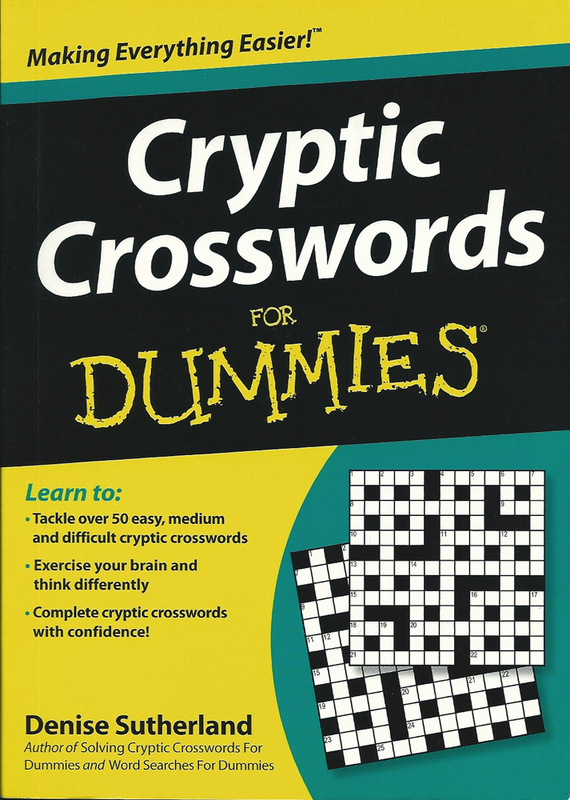 This book is a companion volume to Solving Cryptic Crosswords For Dummies. It is a collection of 56 cryptic crosswords for you to solve (most of which are easy), and is a nifty pocket sized book for puzzling on the go. There are just a few reference lists, and a few tips on how to solve cryptics. 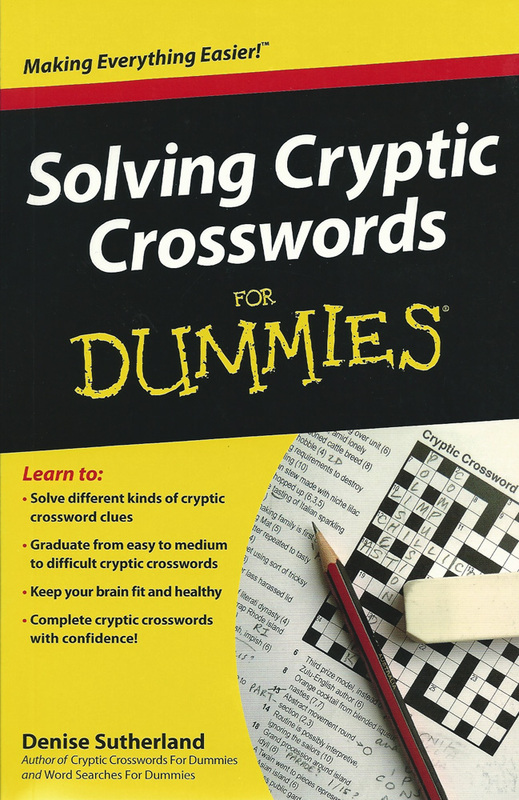 If you want to learn how to solve cryptics, don’t buy this book, get Solving Cryptic Crosswords For Dummies. 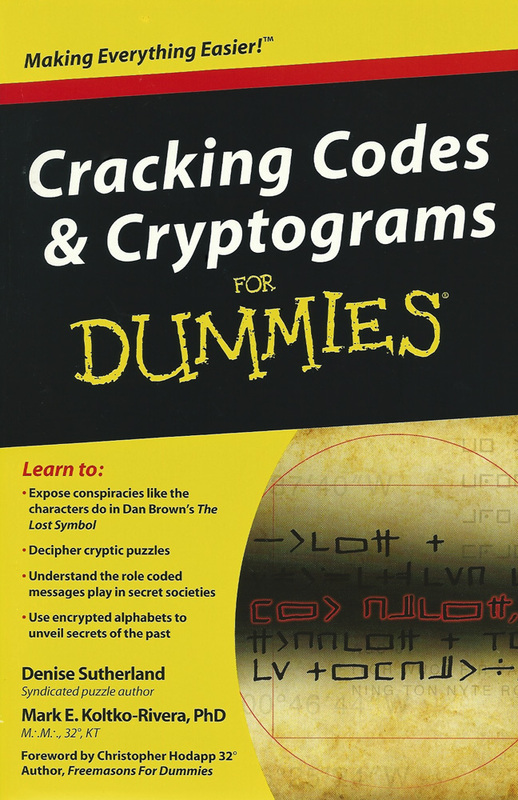 In this book you get to learn about the main encryption methods used in puzzles, and how to crack them. The bulk of the book is three stories (written by my co-author Mark Koltko-Rivera) set in different times of America’s history, and written as series of letters. They have been heavily encrypted, though! To read the stories, you have to crack the codes through the book. Quite a challenge! 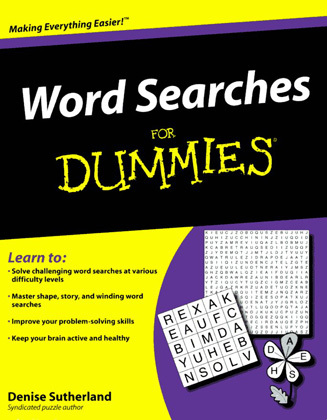 While there is a bit of text about how to solve word searches, the benefits of solving them, and their history, this is basically a book of word searches. There are hundreds of puzzles, with a great variety. They range from simple word searches to themed puzzles, quizzes, anagrams, and heaps more. There is even a whole chapter devoted to teaching you how to create your own word search puzzle, too, using pen and paper. Definitely an engaging and stimulating book for anyone who loves these popular puzzles. This book is out of print, but you can find secondhand copies on Amazon. Tips for Staying Mentally Fit — Solve Puzzles and More!